Unable to move when their net became caught around their vessel’s propeller while out fishing to the south of the mouth of the Ribble, the two man crew of a Lytham based fishing boat radioed for help. With darkness fast approaching the Holyhead Coastguard centre requested Lytham St Annes Mersey class All-weather Lifeboat (ALB) launch to bring the casualty to safety. The Sea Charity’s crew assembled and the lifeboat Her Majesty the Queenleft on her mission at 6.45pm on Saturday (26th), heading out into the Irish Sea to find the disabled boat. On reaching the casualty the vessel was taken in tow and brought safely into the Ribble Estuary and up the channel to Lytham. 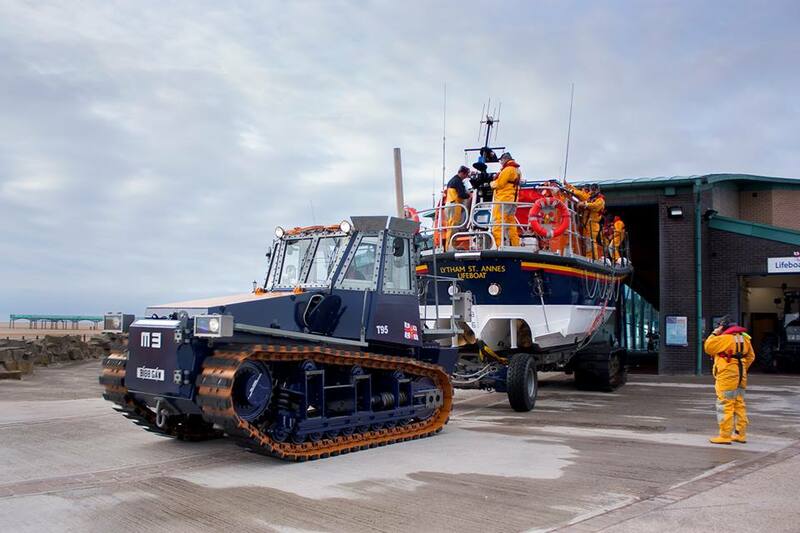 As the lifeboat neared Lytham with her tow the Station’s D class Inshore Lifeboat (ILB) Sally was launched to assist mooring the fishing boat up in the strong current running as the 31 foot (9.5m) high, spring tide flooded into the estuary. When this was achieved the ILB brought ashore the two fishermen. Both boats returned to their respective boathouses, the Mersey class at 9.31pm and the D class 10 minutes later. Both were refuelled, cleaned and made ready for service again by 10pm. Coxswain Mechanic Martin Jaggs later said that great care had to be taken going alongside the casualty as the disposition of the vessel’s net was unknown and fouling the lifeboat’s propellers was a risk that had to be taken. This was the second call in three days to a Lytham fishing vessel for the Station’s D class lifeboat (ILB) Sally as the crew were called out on Thursday (24th September) at 7.45am when a boat was reported aground in the estuary. The Coastguard centre requested the ILB launch to check if anyone was aboard the fishing boat. The ILB ascertained that nobody was on board and that the vessel’s mooring had broken allowing her to drift until she grounded. The ILB towed the casualty to a safe mooring at Seafield Road.